Security and counterterrorism procedures are often adaptive, for better or for worse. As attackers devise new methods to stage their assaults, authorities change their procedures accordingly. Following a recent attack in London, some people have been calling on British security services to do just that. At approximately 2:40 p.m. March 22, Khalid Masood jerked the steering wheel of his rented Hyundai Tucson sharply to the left at the entrance to London's Westminster Bridge, jumped the curb and pressed the accelerator. Speeding along the sidewalk, he struck pedestrians who could not get out of his way; two people even jumped off the bridge to avoid being hit. As he neared the end of the bridge, Masood re-entered the roadway and sped toward the British Parliament building. He again jumped the curb to target more pedestrians before crashing into the building's perimeter fence shortly after passing Big Ben. Masood then leapt out of the wrecked car and ran around the corner of the compound to the Parliament's main vehicle entrance, where he attacked an unarmed police officer with a knife before being shot by a police officer inside the grounds. Though the attack lasted only 82 seconds, it killed five people (including Masood) and injured 50 more, some of them severely. It is easy to remain fixated on the US. Buoyed on by the Trump Presidency, US stocks continue up. But as measured by standard indices such as price/earnings ratios, US markets are high. So where else, and by what standards do we choose? Consider first what is happening regionally as measured by projected GDP and population growth rates. Table 1 indicates that the populations of Sub-Saharan Africa are growing most rapidly followed by North Africa and the Middle East. Rapid urbanization is slowing growth rates in other regions. Population growth will at some point become a spur to economic growth as demand from growing middle classes emerge. When it comes to present-day economic growth, Asia leads all other regions. Russia may be in decline economically and demographically, but, in strategic terms, it is a resurgent power, pursuing a major military rearmament program that will enable it to continue expanding its global influence. One of the Kremlin’s latest geostrategic targets is Afghanistan, where the United States remains embroiled in the longest war in its history. Almost three decades after the end of the Soviet Union’s own war in Afghanistan – a war that enfeebled the Soviet economy and undermined the communist state – Russia has moved to establish itself as a central actor in Afghan affairs. And the Kremlin has surprised many by embracing the Afghan Taliban. Russia had long viewed the thuggish force created by Pakistan’s rogue Inter-Services Intelligence agency as a major terrorist threat. In 2009-2015, Russia served as a critical supply route for US-led forces fighting the Taliban in Afghanistan; it even contributed military helicopters to the effort. Russia’s reversal on the Afghan Taliban reflects a larger strategy linked to its clash with the US and its European allies – a clash that has intensified considerably since Russia’s 2014 annexation of Crimea spurred the US and Europe to impose heavy economic sanctions. In fact, in a sense, Russia is exchanging roles with the US in Afghanistan. In the 1980s, US President Ronald Reagan used Islam as an ideological tool to spur armed resistance to the Soviet occupation. Reasoning that the enemy of their enemy was their friend, the CIA trained and armed thousands of Afghan mujahedeen – the jihadist force from which al-Qaeda and later the Taliban evolved. Though universally despised, the sahukar plays an indispensable role in most rural communities. Almost every farmer in India’s massive rural swathes is tethered, in one way or another, to the sahukar, the Indian variety of the moneylender, the ubiquitous, ravenous loan shark. For centuries, moneylenders have monopolized rural Indian credit markets. Families have lost land, farmers have been asked to prostitute their wives to pay off debts, and, when all else has failed, they have tied the noose to end their misery. 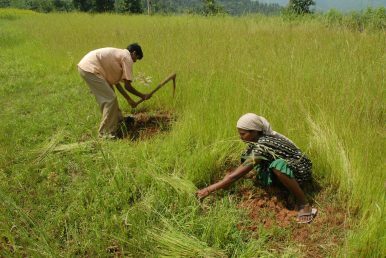 An inescapable cycle of debt continues to grip rural India, particularly its farming class. Yet the public image of menacing debt collectors does not reflect the actual plight of India’s three million farmers. Moneylenders have been around for generations, but their business has boomed ever since India’s economic priorities shifted, with globalization, from agriculture to industry. The arrival of high-cost seeds and pesticides and the attraction of bumper harvests have added to the debts. In farm belts moneylenders operate under the guise of farm input sellers. In sharp contrast to banks and other lending institutions, there is no steel and glass, neither is there a leather couch or a coffee vending machine at the moneylender’s workplace. Vithal Radke’s business is registered as a shop because he hasn’t met the legal standards required to call it a finance agency. This article explores how we might address these challenges. The traditional strategy for dealing with NPAs has been to reschedule the loans. However, this helps only where projects suffer from a short-term “liquidity problem”. It cannot help when there is a “solvency problem”, i.e. the income stream simply cannot service the debt even over a longer period. Most of the large NPAs reflect solvency problems. revenue streams were overestimated and costs have increased beyond original projections. Such projects can only be rescued if banks take a haircut and reduce the debt. Understandably, this is something bankers hate to do. There are two ways of handling the problem. The Reserve Bank of India (RBI) has notified schemes for both, but neither of them has worked. New Delhi is waking up to China’s growing relations with India’s neighbours. What we see today is the geographic expansion of the Chinese defence profile way beyond Pakistan to cover India’s other neighbours in South Asia and the Indian Ocean. 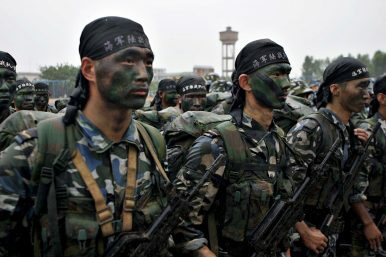 India’s plans to sign agreements on defence cooperation with Bangladesh during PM Sheikh Hasina’s visit to Delhi next month and the Chinese Defence Minister General Chang Wanquan’s travels to Sri Lanka and Nepal last week, underline the new dynamic of defence diplomacy in the neighbourhood. The Indian Army Chief, General Bipin Rawat, is also travelling this week to Nepal and Bangladesh. KABUL — As they did in 2016, the Taliban are again concentrating on overrunning Afghan cities this year. By the end of February 2017, the Taliban had already launched an attack on Mehtar Lam, the capital of the eastern Afghan province of Laghman. And according to a confidential report exclusively obtained by The Diplomat, the Taliban have amended their tactics in view of an allegedly imminent assault on Kunduz City, where also U.S. and German forces are deployed. On February 28, weeks before the usual insurgent spring offensive that traditionally starts in April, militants attacked Mehtar Lam, with fighting reportedly reaching as close as two kilometers to the center of town. Only two days later, on March 2, the governor of Laghman acknowledged that, at first, militants had managed to overrun several outposts, but he then assured that these outposts were retaken by government forces and that the attack had been successfully repelled. However, a statement from the provincial government released on March 13 again claimed to have foiled the Taliban’s plan to capture Laghman, implying that fighting continued at least until recently. And reports from March 18 even indicated that the insurgents were still just outside Mehtar Lam. This, unfortunately, does not come as a surprise. 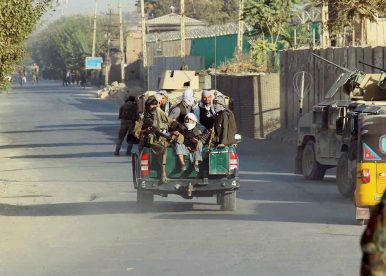 Since the Taliban managed to briefly overrun Kunduz, the capital of the northern province with the same name, at the end of September and beginning of October 2015 – which marked the first time since the overthrow of their regime in 2001 that the Taliban had seized a provincial capital – they have continuously kept cities in their sights. During 2016, insurgents pressured the capitals of the provinces of Kunduz, Faryab, Farah, Helmand, and Uruzgan. While they managed to temporarily enter Kunduz and Tirin Kot, the capital of Uruzgan, fighting was limited to the outskirts of the other cities. 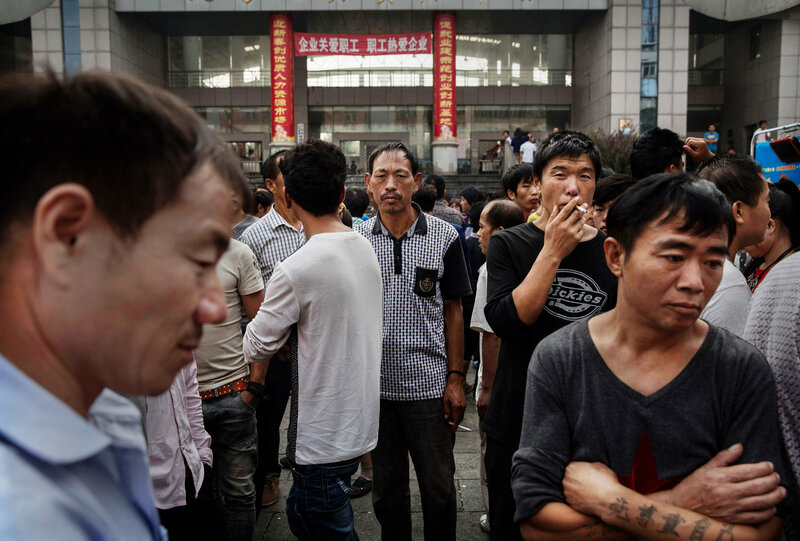 BEIJING — China’s ambitious plan to revamp its economy has bogged down. Flabby state conglomerates have thwarted attempts to whip them into commercial shape. Rules that treat millions of city-dwelling rural migrants like second-class citizens have barely budged. Such criticisms are common from skeptical foreign economists who have long argued that President Xi Jinping’s efforts to remake China’s economy and fix pernicious social problems have been too slow and tepid. But these withering findings on China’s reforms come from a startling place: from within the government itself. Just as striking, this unflattering report card from a Chinese state think tank — published this month with little fanfare — faults misconceived “top-level design” in policies, as well as local bureaucrats and state managers reluctant to change. The report brings into focus a sharpening debate in China about economic priorities. Experts inside and outside China say the country’s economy needs to be overhauled to continue growing fast enough to provide jobs and higher incomes for its people. Paul Ying Qian and his wife moved from China to Malaysia as part of the Malaysia My Second Home programme in 2009. Both of his young children were born in Malaysia. EXECUTIVE SUMMARY: Israeli PM Benjamin Netanyahu visited Beijing on March 20-21, 2017 – his second visit to China during the term of China’s current president, Xi Jinping. The trip was the product of an invitation from Xi, a point emphasized by Netanyahu’s office to deflect criticism over the frequency of his foreign junkets. The official reason for the visit was the marking of the twenty-fifth anniversary of diplomatic relations between the countries, but it could represent an opportunity for Israel to play a more prominent role on the international scene. The prime minister’s office has stated that beyond marking the anniversary of the Chinese-Israeli bilateral relationship, PM Netanyahu’s visit to China this month had primarily a financial objective. The main goals were to continue building up the countries’ financial relationship, enhance cooperation, draw Chinese investment to Israel, and open the door for more diverse Israeli investment in the Chinese market. In addition, the trip was intended to continue an ongoing dialogue about establishing a free trade agreement between China and Israel, as well as mutual participation in the third Innovation Conference. During his visit, the prime minister met with President Xi Jinping, Premier Li Keqiang, and the heads of the largest corporations in China. The Obama administration’s much vaunted pivot to Asia was supposed to signal a U.S. strategic shift away from Middle East security issues toward commerce and diplomacy further east. Although the success of the Obama team’s ability to shift diplomatic and military focus is up for debate, recent diplomatic trips suggest that Saudi Arabia is attempting to flip the script and perform an Asia pivot of its own. 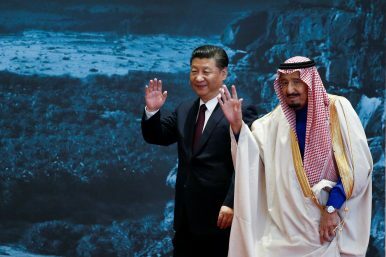 In March, King Salman concluded a three-week Asian tour spanning China, Japan, Indonesia, Brunei, and Malaysia, while his son, Deputy Crown Prince Mohammed bin Salman (MBS), met for the first time with President Donald Trump in Washington, DC. Broadly, both trips aimed to drum up investment for the Kingdom’s ambitious economic reform plan, Vision 2030, and to shore up security partnerships. But while the trips touched on similar themes, each provided distinct takeaways. In the near term, the Kingdom will turn to Asian partners for their relatively stable economic and political relations. However, shared security concerns over Iran and desire for American investment will ensure the Saudis do not drift far from the United States. THE black fur hat looked odd on a Libyan warlord. But fur is de rigueur in wintertime Moscow, which has become an essential stop for Middle Eastern leaders like Khalifa Haftar, who visited twice in 2016. This month his rival, Fayez al-Sarraj, the head of Libya’s UN-backed government in Tripoli, dropped by. Jordan’s King Abdullah, Turkey’s Recep Tayyip Erdogan and Israel’s Binyamin Netanyahu have all stopped at the Kremlin for audiences with Vladimir Putin this year. The visitors are a sign of Russia’s growing activity in the Middle East. “The policy is wider than just Syria,” says Andrei Kortunov of the Russian International Affairs Council, a think-tank. Russia’s interests in the region include security, arms sales and oil. But most important, the Middle East offers a platform to reinforce Russia’s status as a global power. “Those who have strong positions there will have strong positions in the world,” says Fyodor Lukyanov of the Council on Foreign and Defence Policy, a government advisory body. In Q4 however, the U.S. took first place as China slipped to fourth. With over 180,000 attacks, there is a large gap between the United States and the second-placed UK. According to Akamai, the total of 751,895 attacks marks a 4% increase on Q4 2015. This chart shows the share and number of DDoS attacks in Q4 2916, by country of origin. PRINCETON – “America first,” thumps Donald Trump. “Britain first,” say the advocates of Brexit. “France first,” crows Marine Le Pen and her National Front. “Russia first,” proclaims Vladimir Putin’s Kremlin. With so much emphasis on national sovereignty nowadays, globalization appears doomed. It’s not. The struggle playing out today is not one of globalism versus anti-globalism. Rather, the world is poised between two models of integration: one is multilateral and internationalist; the other is bilateral and imperialist. Throughout the modern age, the world has seesawed between them. Since 1945, internationalists have had the upper hand. They advocate cooperation and multilateral institutions to promote global public goods like peace, security, financial stability, and environmental sustainability. Theirs is a model that constrains national sovereignty by binding states to shared norms, conventions, and treaties. The year 2016 tipped the scales toward bilateralists, who regard national sovereignty as an end in itself. The fewer external constraints, the better: peace and security result from a balance of great powers. Theirs is a model that favors the strong and punishes the weak, and that rewards competitors at the expense of cooperators. JYTTE KLAUSEN is the Lawrence A. Wien Professor of International Cooperation at Brandeis University and an Affiliate at the Center for European Studies at Harvard University. The terrorist attack near the British Parliament on Wednesday, in which a man rammed a car into pedestrians on Westminster Bridge in London, parallels last year’s incidents in Berlin and in Nice where large vehicles were also used to kill crowds of people. In the aftermath of these events, the attackers have been widely called “lone wolves.” This is a myth that must be dispelled . Lone actors they were, but only on the day of the attack . In London, the assailant has been identified as Khalid Masood, a 52-year-old British-born man, who had recently been living in Birmingham, a major city in the West Midlands. He had used several aliases, including his birth name Adrian Russell Elms (later Ajao after his mother’s marriage), and had at some point converted to Islam. He was married and had children. The police had previously investigated him  but determined he was not a security risk. The Marine Corps, in conjunction with the Navy, is readying for a major exercise to test new technologies and address potential capability gaps under the guise of multi-domain battle. The Ship to Shore Maneuver Exploration and Experimentation, or S2ME2, Advanced Naval Technology Exercise, or ANTX, will take place in late April at Camp Pendleton, California, with a focus on how the naval force projects power in a 21st century contested environment. Much like the other services within the joint force, the Marine Corps is grappling with more than a decade at war against technologically inferior adversaries while near-peer competitors observed U.S. tactics and invested in technologies and concepts to compete and win against the military. 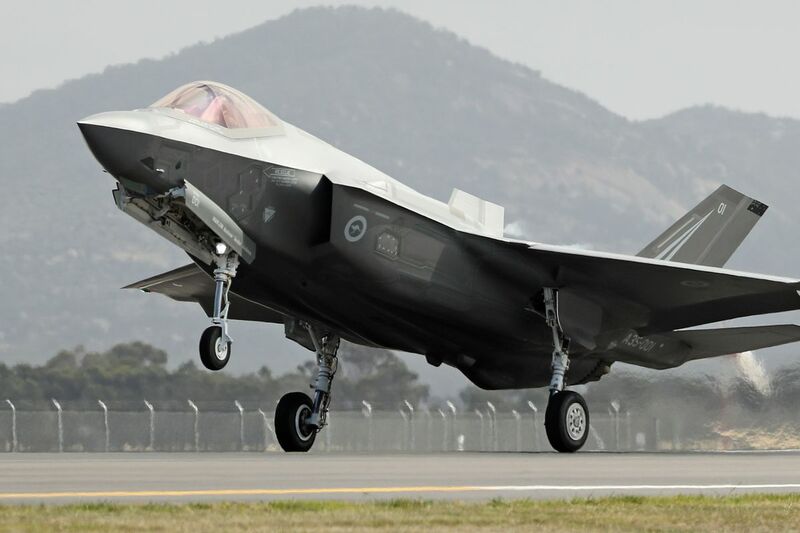 "Our challenge is in the information age trying to leverage technology to come up with solutions to be able to maintain the capability of projecting power against a near-peer competitor in a forcible way,” said Col. Daniel Sullivan, chief of staff for the Marine Corps Warfighting Laboratory. He said the commandant has charged them with using creativity to leverage the naval research and development enterprise and come up with solutions to this problem — getting at electronic warfare, spoofing, swarming unmanned aerial vehicles, how to use autonomous robotic systems to do things that Marines used to do in the past, such as beach reconnaissance or mine clearing, he added. In 1899, diplomatic representatives from the world’s leading nations, many in elegant suits adorned with gold pocket watches and sporting exquisite waxed mustaches, gathered in the Hague, Netherlands, for a grand conference. The diplomats set out to achieve nothing less than taming the destructive potential of a new military technology. The recent invention of motor-driven military aircraft had led all nations to fear man-made storms of balloons raining bombs on their cities. After weeks of tense negotiations, the diplomats emerged to announce a stunning victory for world peace: a five-year ban on the offensive military use of any aircraft — which they hoped would soon be made permanent. Fifteen years later, in 1914, with the outbreak of World War I, the diplomats’ soaring ambitions crashed into two stubborn facts: Airplanes are critical for winning a modern war, and losing a modern war is terrifying. The ban evaporated, and bombs fell on every European belligerent’s capital save Rome. Chris Pleasance has article on the Daily Mail Online’s website this morning (March 27, 2017) discussing Russia’s new Zicron, hypersonic cruise missile, which travels between 3,800 and 4,600 mph — five to six times the speed of sound. Mr. Pleasance writes that “experts warn the ‘unstoppable’ projectiles could spell disaster for the Royal Navy’s new 6.2B Pound Sterling aircraft carriers — the HMS Queen Elizabeth, and the HMS Prince of Wales.” The hypersonic cruise missile is capable of carrying warheads ranging from high explosive to nuclear. Mr. Pleasance writes that the “British Navy’s anti-missile defenses are only equipped to shoot down projectiles traveling 2,300 mph — meaning they would be useless against the Zicron.” In essence, this would be the equivalent of a major league baseball player swinging at a pitch that has already crossed home plate. Mr. Pleasance adds that this vulnerability/gap, would “force [British] aircraft carriers to anchor outside their estimated 500 mile range.” But, by taking this defensive measure, British carrier-based jets and helicopters would be unable to reach their targets, carry out their mission, and returning without running out of fuel — effectively rendering them useless,” he wrote. THIS CLEVER ‘DOUBLE AGENT’ DIGITAL/CYBER ATTACK TURNS ANTIVIRUS INTO MALWARE; EVEN MEASURES LIKE A SYSTEM REBOOT,WON’T ELIMINATE A DOUBLEAGENT ATTACK. “Discovered by researchers at the Israeli cyber security defense firm — Cybellum, the so-called “DoubleAgent attack” takes advantage of the Microsoft Application Verifier, a tool used for strengthening security in third-party Windows applications, to inject customized code into programs. The approach could potentially manipulate any software target; but, antivirus programs would be particularly appealing to an attacker since they have such extensive system privileges for scanning,” Ms. Newman wrote. Everyone knows not to use the same username and password combination for every account – though many people still do. But if they follow that advice, people end up with another problem: Way too many passwords to remember – 27 on average, according to a recent survey. That can lead to stress about password security and even cause people to give up secure passwords altogether. It’s an ominous feeling and a dangerous situation.